Want to become better at affiliate marketing? Improve your skills by taking an online marketing course. There is no shortage of useful, well presented and actionable information out there that can help you learn a new digital marketing skill set or help you dial in your game even better. After all, the better your marketing skills, the better you will be at driving traffic to your website. But never fear: we’ll show you how to sort through the jungle of online marketing programs to find the one that is perfect for you. Online marketing courses require an investment of some sort. Even if they are free or low-cost, you’re still investing your most precious resource: time. So, before you just dance with the first good-looking gal at the ball, take a step back and really think about what you need from your course. Would you be willing to pay for a course or do you prefer a free option? Are you primarily looking to gain knowledge about Internet marketing as a whole? Are you looking to zero in on one method, like social, mobile, SEO, or paid traffic? Do you want/need some sort of formal certification? What level of expertise (beginner, intermediate, advanced) are you hoping to achieve from your course? Would you prefer a regular classroom environment or are you more comfortable learning at your own pace? Once you know the answers to questions like these, you can start to sort through your options. There are plenty of great free or low-cost courses out there, but typically speaking, the best information comes from behind a pay wall. Free courses often offer some great and very useful information but you may find that if you're looking for advanced knowledge, you are better off paying for a quality course. General Info or Highly Focused? If you’re just getting started, a broad-based, general style digital marketing course is probably the way to go. This will give you an idea of various types of online marketing. However, if you already have a solid base but really want to dive into the minutiae of something like PPC, then a more specific course is what you need. Informal Course or Certificate Program/Degree? Are you hoping to gain a certification, diploma, or degree from your course? If you're doing these courses with the goal of bettering your affiliate marketing efforts, a certification is not going to be of much importance. But if you'd really like one, make sure to pick a course that offers this. What level of knowledge are you seeking from your marketing course? Are you interested in learning advanced SEO techniques? Then sign up for a course designed for people who already have some SEO knowledge. However, if you are a complete newbie, your best bet is a course that will hold your hand and guide you through the basics of online marketing. Do you prefer a course with a real, classroom-like environment? You should opt for a live course in that case. While you will be studying from home, these courses will require you to log on for live sessions and finish your homework. In general, they are a bit more demanding. If you would rather study on your own, pick a course that is self-paced. You can read and review the course materials when it suits you and can study at your own speed. Once you have analyzed your needs based on the above requirements, you will probably have a better idea of exactly what type of course you want to do. Below is a list of courses, divided into free and paid categories, as this is often the most important criteria. Within each of these categories, the courses are further divided into the type of marketing skills you will acquire upon completion of the course. 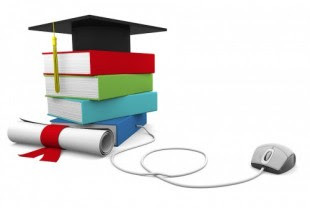 There is no lack of quantity when it comes to free online marketing courses and programs. The real trick is finding the quality ones. Where better to learn about online marketing than from Google itself? This digital marketing course very comprehensively covers search engine marketing, search and display advertising, mobile, social, analytics and video. If you’re looking for a free course from a trusted online marketing source that covers all of the bases, then stop drilling; you’ve hit oil, friend! Hubspot will help you break into the world of online marketing with modules on everything from SEO to conversion optimization. Even better, once you get the basic course out of the way, there's a paid option as well. ALISON is a great resource for free training in online business. The E-business course helps newbies understand the basics of online marketing and how to make the most of Google Adwords, Analytics, AdSense and more. If you didn’t know it already, here at Affilorama we offer a pretty awesome online marketing course — all designed with affiliate marketers in mind. When you join our site, for free, you get a wealth of actionable knowledge that will help you build your online business including: the Affiliate Marketing Quick-Start Guide, a downloadable Roadmap to Success and 120 video lessons on topics such as content creation, SEO, PPC and more. If you'd like to learn all the nitty-gritty of online advertising, Google's Adwords certification courses are an excellent resource. The courses are each designed for you to be able to study and take the certification exams once you're ready. I recommend having at least a basic familiarity with Adwords before attempting the exams. Each exam has extensive study guides so you will be well versed with Adwords fundamentals, search advertising, display advertising, mobile advertising, video advertising, and shopping advertising. Best known for its AdWords campaign grader, Wordstream is one of the most popular names in paid search content creation. This course is free and perfect for beginners in paid search. Even seasoned pros can pick up a few lesser-known tactics. This Udemy course, instructed by Moz is the ideal starting point for SEO beginners. The course will take you through the basics of SEO strategies. It's also useful for understanding how effective use of social media can also influence search rankings. This Udemy course, also instructed by Moz is ideal for those who want to gain a deeper understanding of some tactical SEO methods. While the course description says it's suitable for all levels, I think this course will be more useful if you already have a basic understanding of SEO. This Constant Contact course is the ultimate overview of what you need to do establish a presence for your business on the top social networks. Networks covered include: Facebook, Twitter, LinkedIn, Pinterest, Instagram, Google+, and YouTube. There is also additional advice for blogging and online reviews. Another ALISON course, this self-paced offering is perfect if you want to gain an understanding of the basics of social media strategy for your business. In addition to Facebook and Twitter marketing, the course also covers podcasting, blogging and email marketing basics. Created by social media management platform Hootsuite, this six-part course will introduce you to social media marketing principles, strategy, content marketing, community management, social advertising, and more. When it comes to content creation and online marketing, you’ll be hard pressed to find people doing it better than Brain Clark and the team over at Copyblogger. The course is heavily focused on quality copywriting and content marketing, and how to bring it all together to improve your Internet marketing efforts. Another Copyblogger course. This one is available as a free e-book download, and it's the ideal starting point to understand what makes effective, compelling copy. If you're not a writer but want to improve the quality of your content, start with this mini course. Ever wondered how writing for the web is different to other types of writing? This is the course for you. Created by a user experience consultant, this Open 2 Study course, will give you an understanding of online reader behavior, how to structure web pages, how to write SEO-friendly content, and how to create effective, user-friendly content. Understand the core principles of Google Analytics and how to use it to measure and improve your website's performance with the help of this course from Google's Analytics Academy. When you develop a better understanding, there are several more advanced courses available as well. There are no lack of options when it comes to paid online marketing courses, either. You will find courses that can range from $20 to a few thousand dollars. Here are a few courses that you have to pay for, but promise a lot of bang for your buck. This Udemy course is perfect if you want an overview of how to set up a website and drive traffic to it with the help of Internet marketing. There are 10 modules and almost 300 lectures covering topics such as content creation, blogging, social media marketing, sales copywriting, WordPress setup, SEO, and more. This is ideal for you if you use Hubspot and want to learn how to personalize your audience's experience on your website. This self-paced course is broken up into four pre-recorded webinars and focuses heavily on using content and engineering the user experience. This reasonably priced Udemy course is a great starting point if you want to understand how to use Google AdWords to reach your customers. From creating your own campaigns and writing ads to seeing your ads live in Google, this course is a great starting point for AdWords newbies. PPC isn't just limited to AdWords, of course. If you're interested in learning more about Bing Ads, this Lynda course will show you how to reach your customers across the Yahoo-Bing network. You will learn the difference between Bing and Google, as well as how to set up your campaigns, create effective ads, optimize your campaigns, and more. Cost: $19.99 - $29.99 monthly membership fee for Lynda.com. This Lynda course is designed to be a beginner's guide to search engine optimization and how to increase your visibility on Google and Bing. In addition to an overview of SEO, the course also covers keywords, content planning optimization, the basics of technical SEO, and link building, as well as analyzing and measuring the effectiveness of SEO campaigns. Take this Udemy course to learn what works best for success on Facebook, YouTube, Twitter, LinkedIn, Google+, Pinterest, and Instagram. More than 98 lectures to help you build a community on the right channels and maximize social media marketing for your business. Learn how to create profitable social media strategies and grow your business with the help of this Coursera course created by Northwestern University. You will learn how to create and optimize social campaigns, grow your brand and create content that sparks conversations. This 13-class course by Marketing Profs University is designed to be the ultimate course for you to become a better writer. From blog posts to social media, sales copy to email writing, this course promises to make you better at communicating your brand message to your customers. Also from Marketing Profs University, this 11-part course aims to help you take your content marketing strategy further. The course is designed to give you an insight into understanding your audience and how to create content that interests them. This Lynda.com course is also designed for beginners and will take you through the basics of building an email list, creating emails with valuable offers, sending emails and more. Lynda.com also has several other email marketing courses available. Obviously, it's near impossible to list all the courses available online. So, here is a list of resources where you can find more courses and classes on online marketing to further your learning. Hope you find this list useful to further your digital marketing skills. If you do sign up for any of these courses, be sure to come back and let me know how you fare. If you have a suggestion to add to this list of online marketing courses, please leave me a comment and I will definitely check it out.